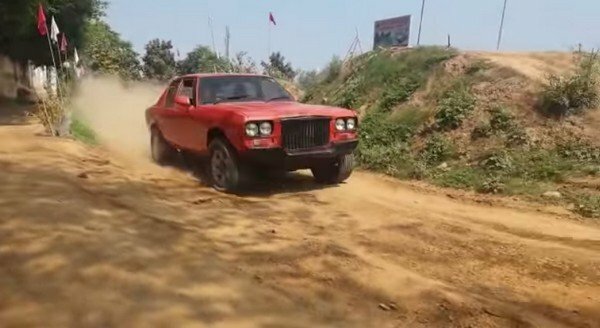 Recently, a video which shows a Hindustan Motors Contessa operate through a dirt track like an off-roader has been released. Read on to discover how it looks and performs. While muscle cars have gained enough traction among the auto enthusiasts in India, the only available option is the latest-gen Ford Mustang, that is easily out of the reach of most aficionados. However, many muscle car fans often opt for a much more affordable 'muscular' car, the Hindustan Motors Contessa. Although its original purpose was to serve as an upmarket family sedan, the aggressive lines and the bold stance give it a muscular appearance. Firstly, have a look at this video to discover how this unique orange modified Contessa off-roader performs across dirt terrain. How does it operate off-road? 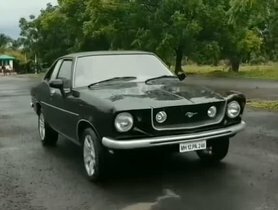 This special modified Contessa belongs to Vikramjeet Sharma. In the front, an engine swap is equipped to the long bonnet, which can be the explanation for its exhaust and agility as can be seen in the video. A far more powerful 3.0L petrol motor has replaced the old one to provide the car with enough power to perform well when going off-road. Moreover, the customized Contessa now comes with a 4WD system, which further enhances its off-road capabilities. The suspension has also been lifted and refined so that it can more easily encounter the bad roads. As per the video, the Contessa overcomes the dirt terrain smoothly and beautifully. 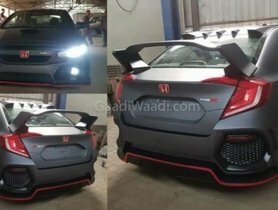 Customization has also been done to the exhaust system with twin pipes equipped to the rear to make the car emit better sounds and look better. In the video, we can realize that the loud sound from the Contessa is perfect. 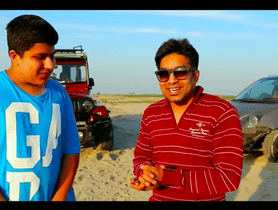 Also read - Tata Harrier Vs Mahindra XUV500 Vs Renault Duster: Which One Is The Best Off-Roader? The comprehensive modifications have spruced the Contessa up to a considerable degree. The bright orange outside paint scheme makes the car look appealing. In the front, the grille now gets substituted with a larger one which is finished in black and comes with vertical slats. The front bumper has also been painted black to harmonize with the grille. Having said that, the most remarkable modifications have been done to the side profile of the car. It now comes with much larger tyres which are shot onto the multi-spoke silver rims which give the vehicle more glamorous looking. The rear doors have also been removed, turning the Contessa into a two-door off-road sedan. The modification work also entails other smaller parts such as a couple of new wing mirrors, but they are not so important for an off-roader. This customized Contessa is unique not just because of its appealing appearance, but also its impressive off-road capacities. It may be the first off-road-spec Contessa in India. 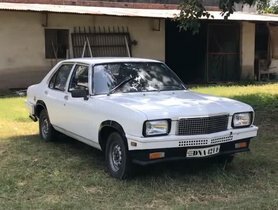 Thanks to this modified vehicle, we can realize that the Contessa has the potentialities to be customized without its fashionable appearance being interfered.